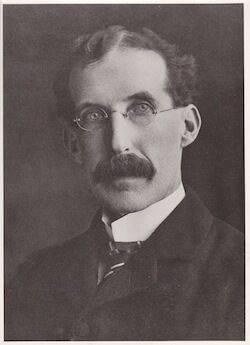 John Henderson was born in 1849 in Ireland. He came to the United States in 1866 to work for his uncle, William Orr, a cabinetmaker and furniture store owner. 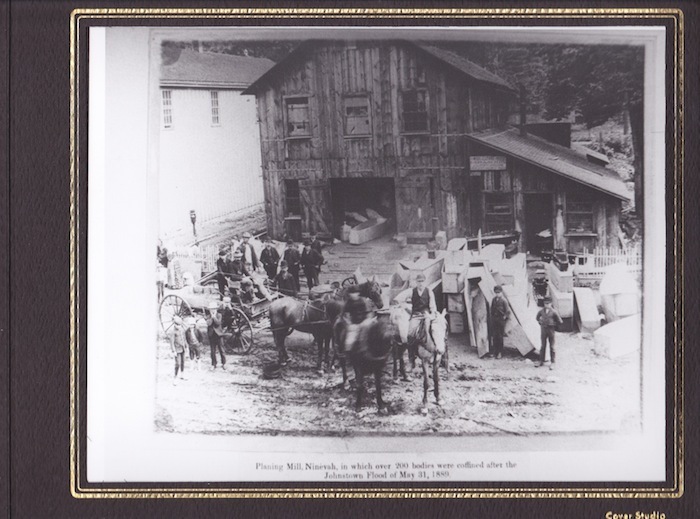 In 1870, John opened a branch of his own in Blairsville, PA. During that time, coffin making was a successful part of his business. He then returned to downtown Johnstown to purchase his uncle’s furniture business. 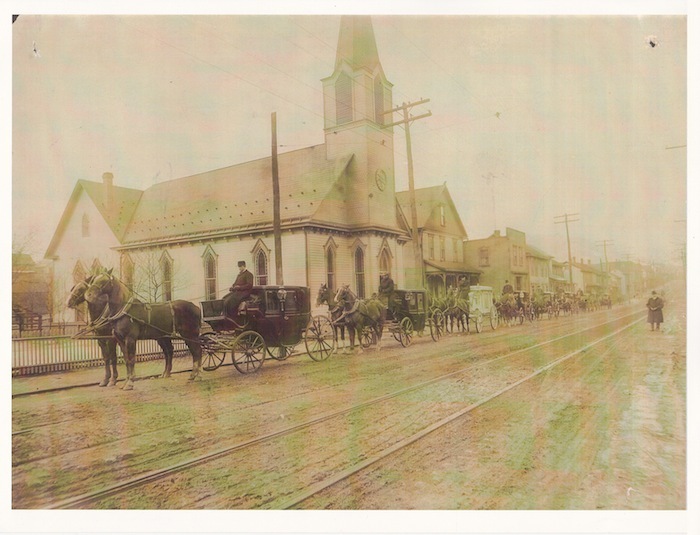 At that time he offered to handle the services of the deceased during the growth and prosperity of Johnstown. A doctor taught him anatomy and used a local supplier for the chemicals. Later he became certified as an undertaker. In 1889, Johnstown suffered a historical flood. John’s nephew and mother in law died in that flood. Also, the funeral home was destroyed by the flood. The state authorities placed John Henderson in charge of burials that were at the Millville Morgue. The log book of the descriptions of the deceased are still located at the funeral home today. He was one of the original 50 co-operators for one of the largest cemeteries, Grandview Cemetery. When John Henderson died, in 1914, he had the distinction of being the first person in western PA to take on the art of embalming and for a long time his funeral home was the only one of its kind outside of Pittsburgh and Philadelphia. The second generation funeral director, John Fletcher Henderson was born in 1882. A graduate of Johnstown High School, Phillips Exeter Academy and Harvard University with an engineering degree. He worked for Cambria Steel Company before joining his father’s business. Another flood hit Johnstown in 1936 and damaged the funeral home. In 1949, John F. along with his son John, purchased one of our current locations. 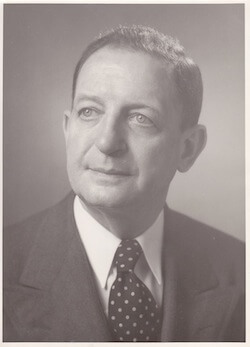 In 1957 John F. dies. 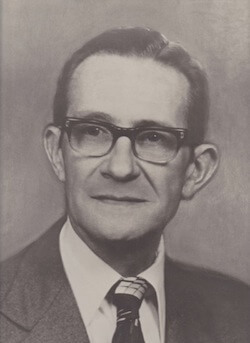 The third generation, John Henderson, was born in 1915. He was a licensed funeral director for a year and a half before being inducted into the US Army. When he returned to Johnstown, he was elected as the President of the Pennsylvania Funeral Directors Association. 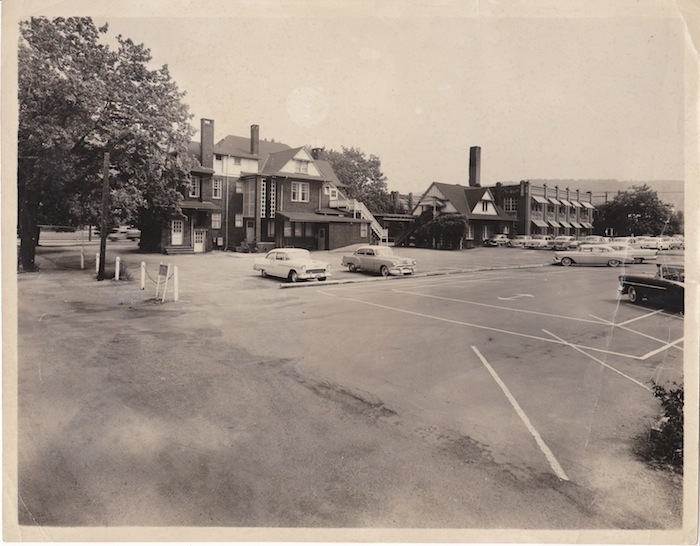 In 1950 the remodeling was completed to our main location that was purchased in 1949. Through the years, there have been many additions made to this location, making it just under 18,000 square feet. In 1977, Johnstown, once again, had another flood. The county coroner designated our location as the temporary morgue. John along with his three sons helped with recovering of the victims. In 1983 John dies. His three sons take ownership, John Curtis, Gary and Kent V.
A fourth generation started in 1946. John Curtis is a graduate of Waynesburg College and mortuary school before receiving his funeral directors license in 1971. He worked at the funeral home in 1971 until 1986. Gary was born in 1949. He attended Waynesburg and the University of Pittsburgh at Johnstown before receiving his funeral directors license in 1974. He retired in 2008. Kent V was born in 1951. He is a graduate of Southeastern Oklahoma State University. Also, Kent started working at the funeral home in 1974. Through the years, Henderson’s, Gary and Kent kept up with the trends in the forever changing funeral industry by offering cremation services, customized viewing and funerals and expanding to two other locations. 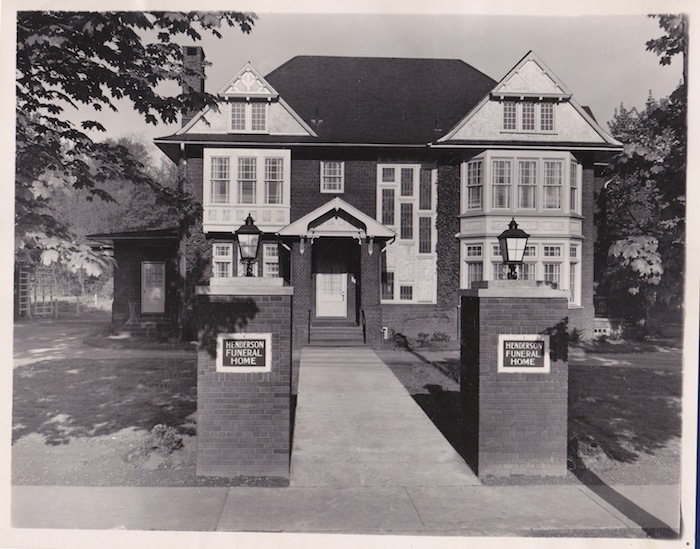 In 1992, Gary and Kent purchased R. Owen Ketterer Funeral Home and Makuchan-Ketterer Funeral Homes. Since then, the names have changed to Henderson Funeral Home, East Hills Inc. and Henderson-Makuchan Funeral Home. Through the years, the addition of a large chapel that seats over 200 people, a children’s room with toys, TV and DVD player, and large parking lot was placed at the East Hills location. A fifth generation funeral director, Troy M. was born in 1970. He is a graduate of Slippery Rock University and Pittsburgh Institute of Mortuary Science. He received his license 1996. In 2014, Troy Henderson purchased the funeral home from Kent Henderson. Henderson Funeral Homes have taken pride in making their establishments look and feel like home. Providing the best services, best equipment and best staff in the area.